Positive Words List for every letter of the alphabet.  List of positive words created and validated by Positive Words Research. Share the L  V E.
The list of positive words published at Positive Words Research is updated constantly since 2013. Until May 2015 the positive words added to the list were bold and underlined. But the additions have increased significantly and to keep track of the updates we decided to create a special post. Through this post we will keep track of all positive words and phrases added to the list of positive words. 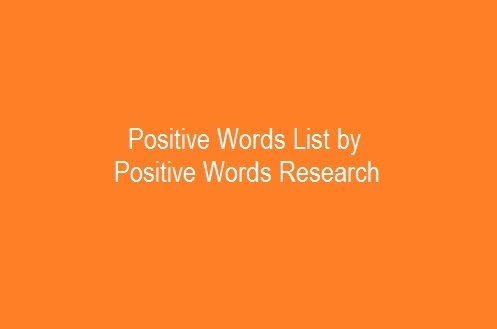 The positive words list update presents updates of the list of positive words published at Positive Words Research which is updated constantly since 2013. The old list of positive words updated since May 2015 was copied to Positive Vocabulary Words List, more than 1,000 inspiring words. Please find below a list of positive words resources that are found on the internet. This list is updated constantly. If you want to add something to this list feel free to share it by commenting below. 1. 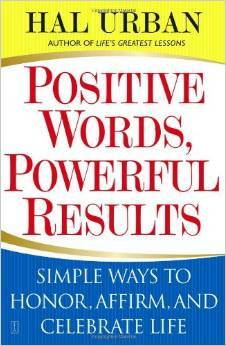 The book Positive Words, Powerful Results: Simple Ways to Honor, Affirm, and Celebrate Life written by Hal Urban. You can purchase it from Amazon. 2. The List of Positive Words that you can find on Positive Words Research. It is an amazing list built in two years with the support of a lot of people all around the world that just wanted to contribute. Each positive word is carefully approved to be a positive word. You can check all the comments from this list to see that some of the words proposed were not included in the list because they were concluded to not be positive. 4. Positive words from Creative Affirmations. Here you can find Positive Words – The Complete List. And also you can download, from the same page, the exclusive Positive Word Dictionary which includes definitions for over 390 words, and example affirmations for each. All you need to do is to subscribe to their mailing list and you will receive it for free. 5. Positive words from Winspiration. You can find here a list of positive words. What I like about their list is that they also have included short sentences that are also considered positive like King of the Brightens up, No 1, Easy as 1,2 3 (ABC), Sky high, Make dreams come true, Does the trick, Make my day. 6. A comprehensive list of positive words from The Benefits of Positive Thinking. They also have interesting introductions giving you information about why words are important and how they can make your life better. 7. The Positive Adjective Glossary from Systemagic Productions. I love it how they name the list, I quote “The finest words in the English language“. They also have a small introduction before listing the positive words and I quote something that I really like: “It creates good emotional health for everyone and can make magic happen.”.  so awesome I love it. 8. 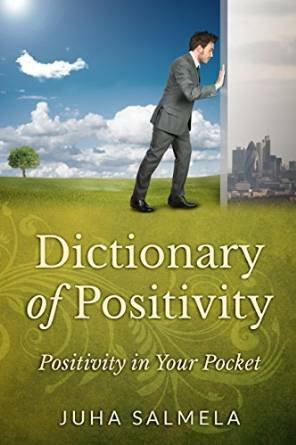 Dictionary to explain the meaning of positive words: Dictionary of Positivity: Positivity in Your Pocket. You can purchase the dictionary from Amazon and is written by Juha Salmela from Positive Thesaurus. There an entire world of positive words at Positive Thesaurus, it is useful to check it out. 9. The amazing resources that can be found at Positive Imperative. Their mission statement is “Driving the world to positivity” and the founder is Victor Sinclair. He invented the term posiwords that comes from positive words. He also invented some new positive words. I quote the introduction to posiwords: “In order to have a positive society, it is imperative to have both positive communications as well as a positive vocabulary. Historically we have been driven by a dominantly negative vocabulary, which creates more negativity. PosiWords is a reflection of needed more positive words to replace our negative focused communication.”. I love the quote by Margaret Mead that I found on their website: “Never doubt that a small group of thoughtful, committed people can change the world. Indeed, it is the only thing that ever has."